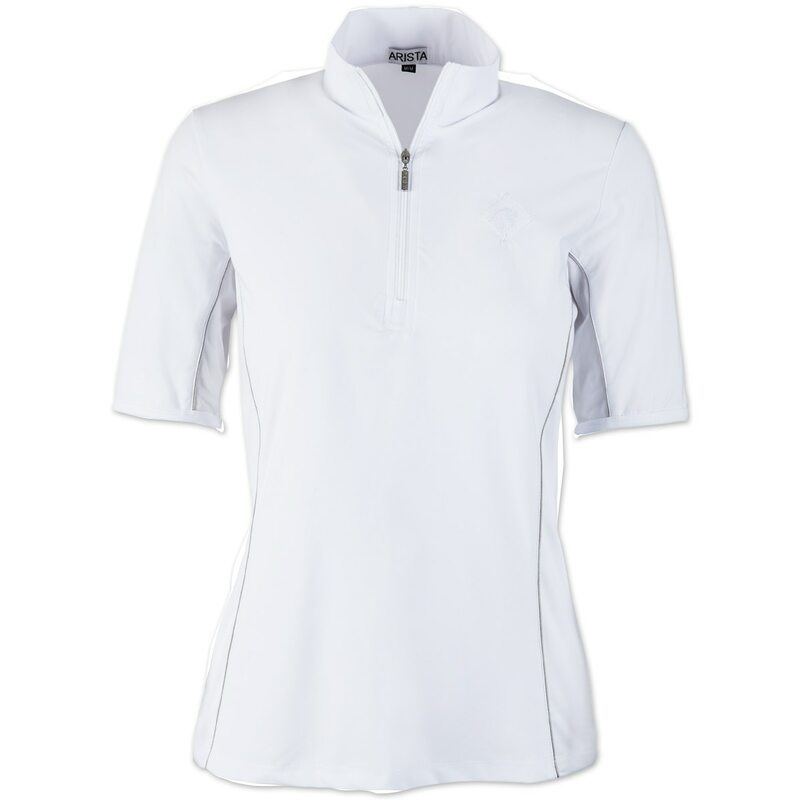 The Arista Half Sleeve 1/4 Zip Sun Shirt is made from premium performance fabric that will keep you schooling in style! 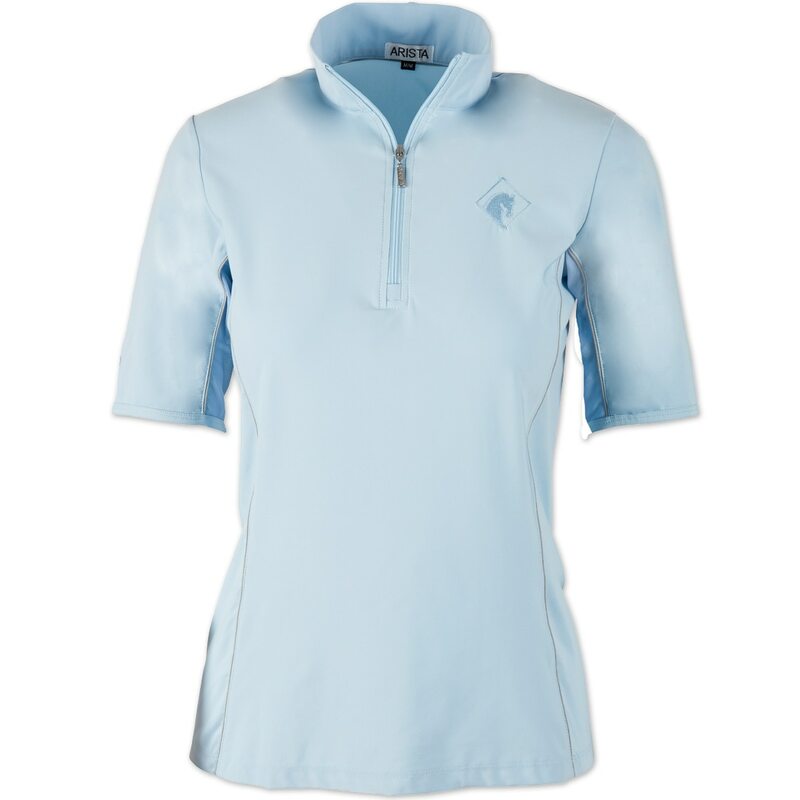 Perfect for any occasion from a casual hack out to a clinic or even a show, this shirt is highly versatile. 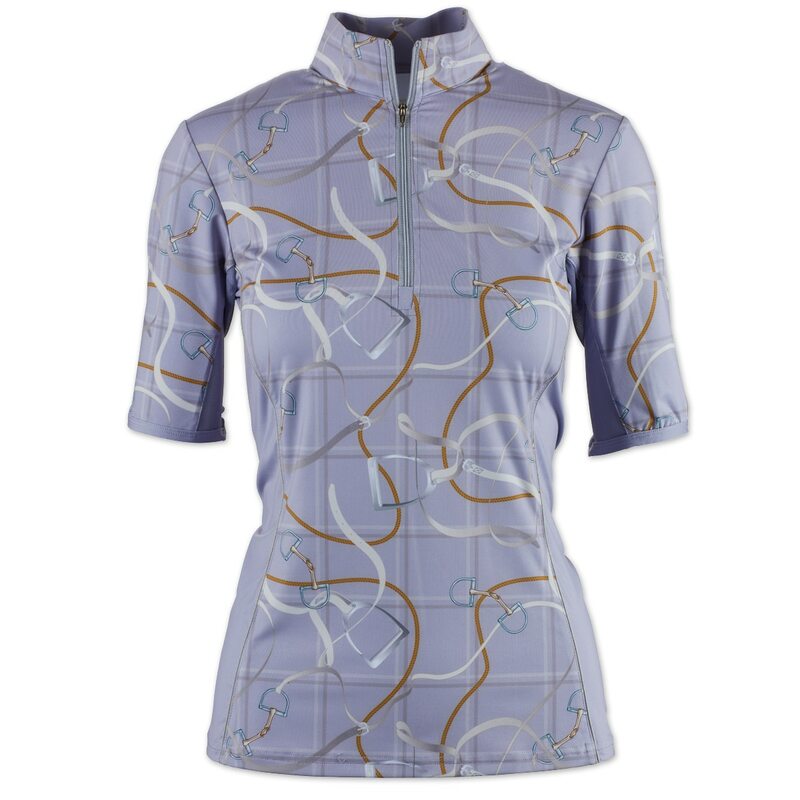 For an attractive look while wearing, the piping detail on the princess seams provides a flattering, feminine silhouette while a printed bit design on the sleeves adds a fun touch. 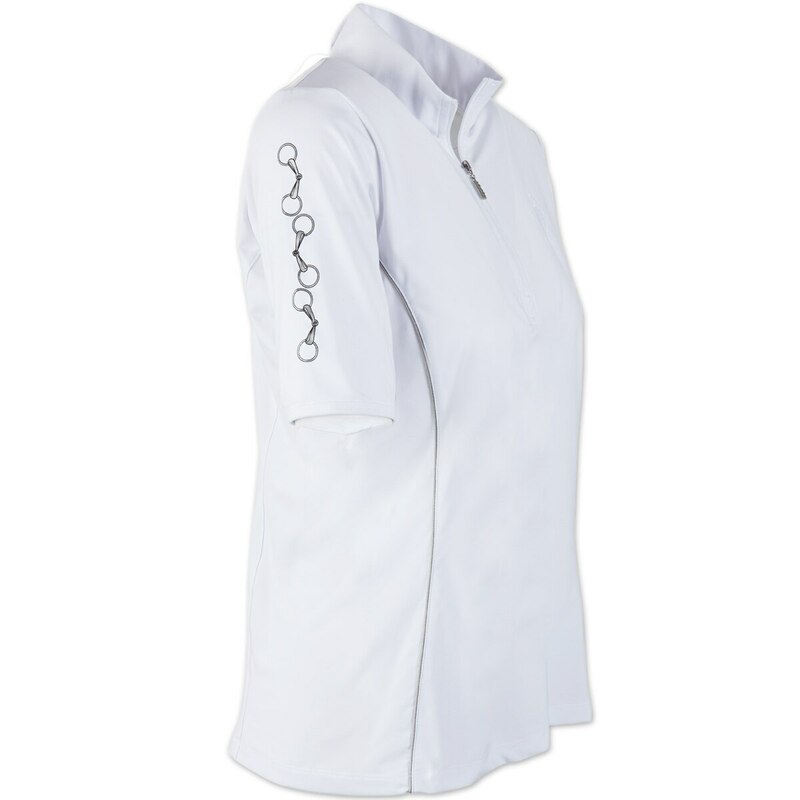 The shirt is also a pull over design with a 9" zipper opening so getting off and on during hectic show mornings will be a breeze. 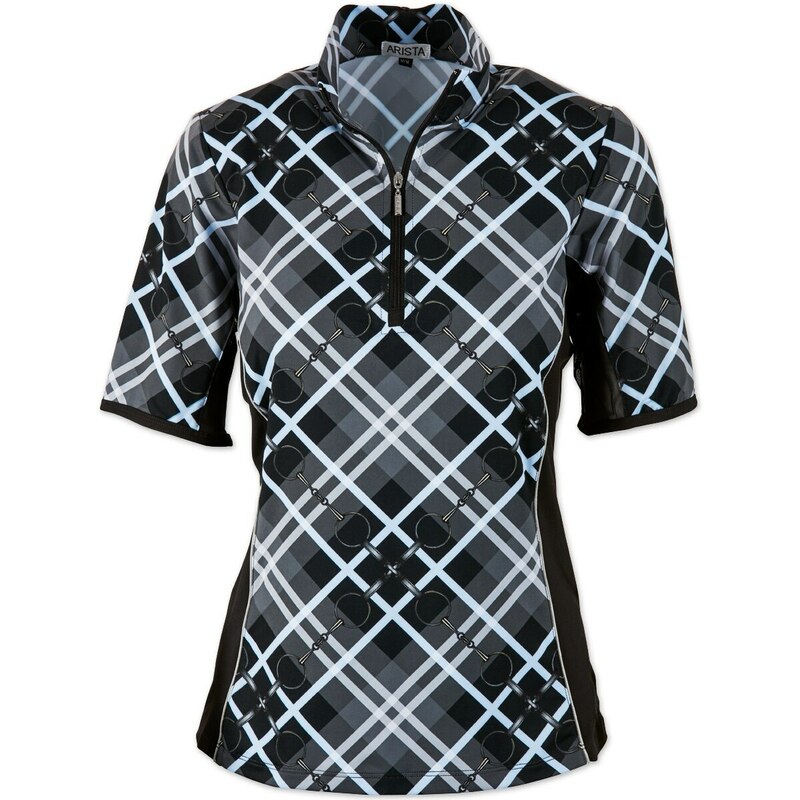 To make sure you're comfortable at all times, this shirt is made with a moisture wicking polyester and mesh undersleeves which will help airflow and keep you dry. 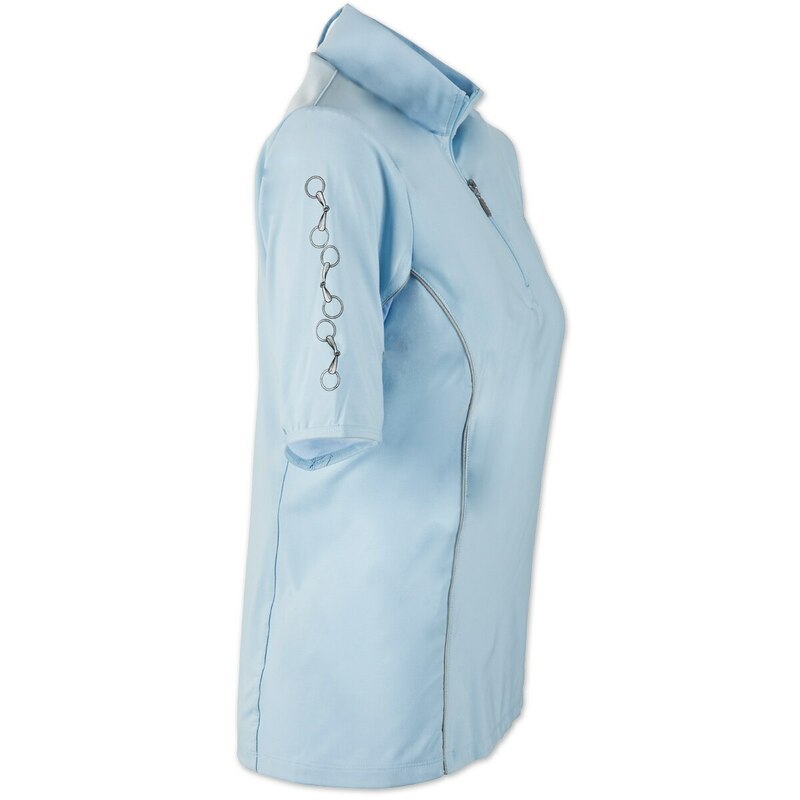 Arista Half Sleeve 1/4 Zip Sun Shirt is rated 5.0 out of 5 by 1. Rated 5 out of 5 by Horsecrazzie from Lovely shirt Great shirt, fit well stretchy but not to "clingy". The Princess seams make for a very Very nice fit. I loved the sleeve length. 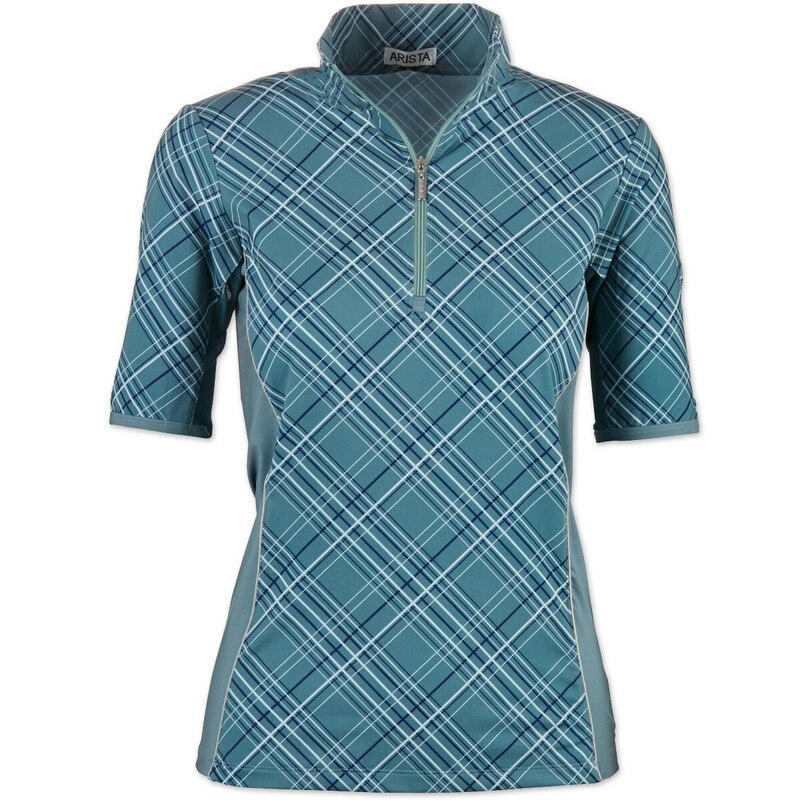 I ordered this in pale blue, which is more like a pale blue grey NOT a good color for me, sadly returned, I may reorder but they are all plaids? 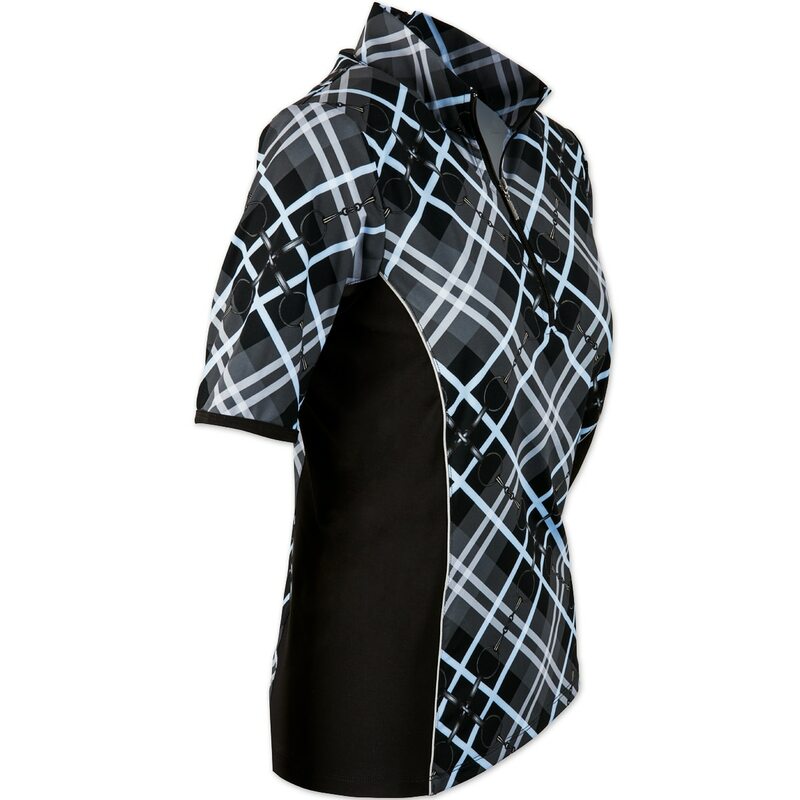 :-( IF this came in a solid color and not plaids or the washed out blue I WOULD order)!